Renewable energy is a topic which can often be difficult to elaborate in the form of PowerPoint Presentations. This is why having a few renewable energy templates and video backgrounds can help you express your views with the help of some nice graphics and video animations. 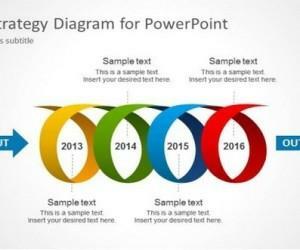 Below are some Renewable Energy PowerPoint Templates which can be used to create presentations about greenhouse gases, sustainable development, economic aspects of going green and of course, renewable energy. 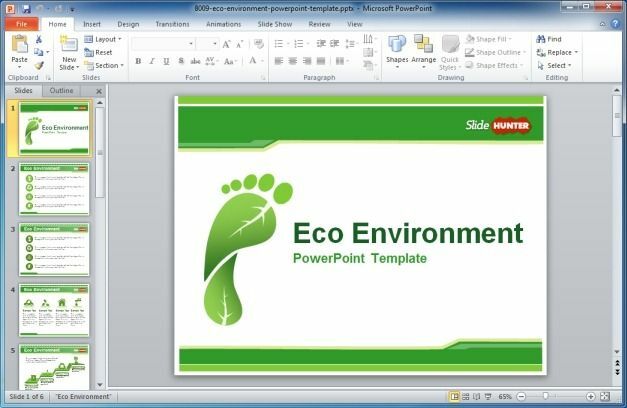 The Free Eco Environment PowerPoint Template is a free template by Slide Hunter that provides a wide range of sample slides with the theme of “Going Green”. 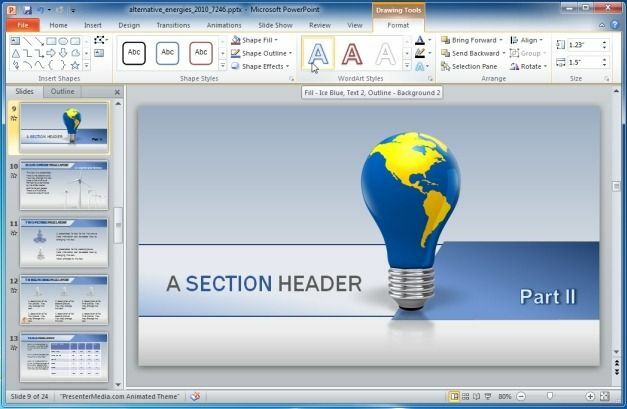 This free PowerPoint Template can be used to cover a wide range of topics, ranging from green energy to highly complex topics like recycling guides. This template comes with many useful sample slides, containing editable objects to help you customize and create visually appealing slides. 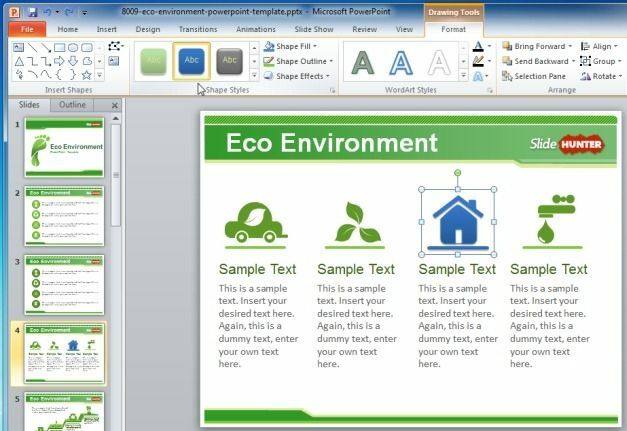 Free Eco Environment PowerPoint Template is available in PPTX format and can be downloaded from the link given below. 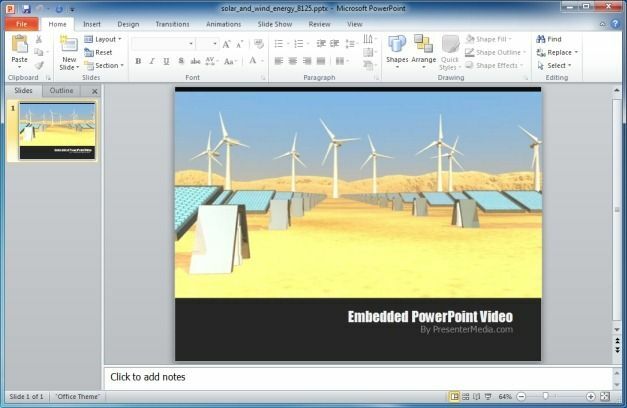 The Solar And Wind Energy PowerPoint Template is an HD Video Background and PowerPoint Template which can be downloaded both as a PPTX file and in various video formats. 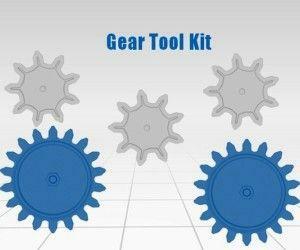 You can use this template to create wind energy turbine, solar energy, alternative energy or industry themed presentations. The PPTX version of this template comes with a single slide with embedded video animations. 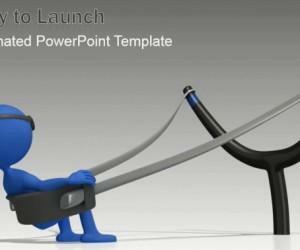 The Alternative energies PowerPoint Template is a premium Animated PowerPoint Template by Presenter Media which comes with many interesting animations, clipart and sample slides to help you get your message across in a novel manner. 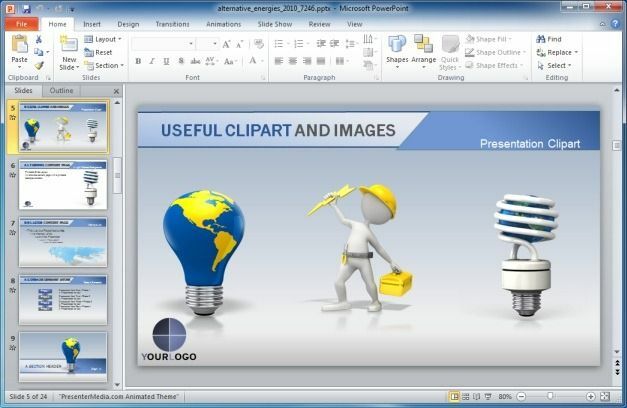 Unlike conventional templates, it provides more than just images of alternative energy related clipart and also delivers some very unique and out of the box clipart that can be used for adding sarcasm, humour and style to your presentations. 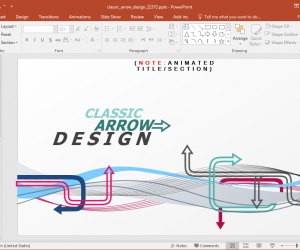 This template is fully editable and you can add your own text, logo, photos, videos, animations and effects to complement the existing animated slides. 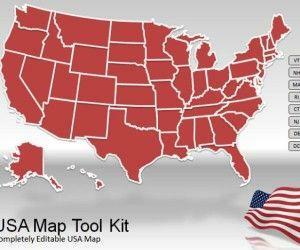 This template also comes with a wide range of charts and graphs that can be edited out to enter statistical data.